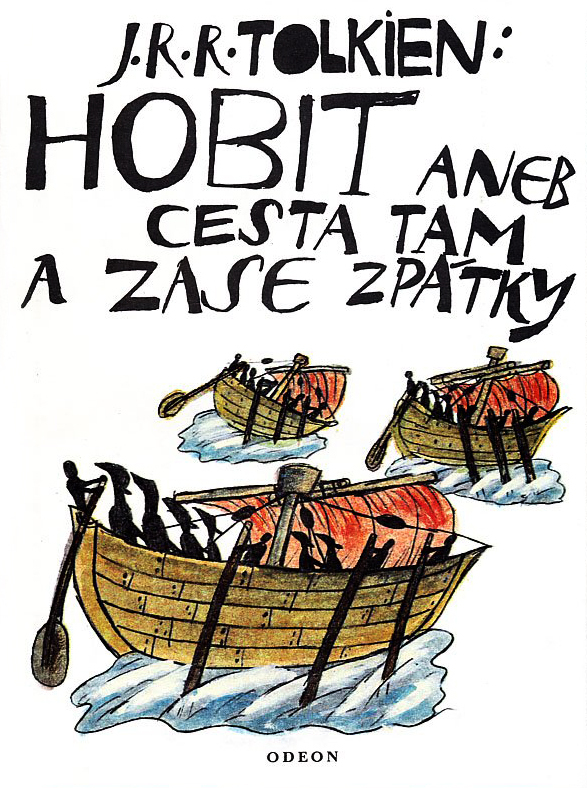 Hobit, Czech edition of The Hobbit (1991) | 'TAIN'T THE MEAT… IT'S THE HUMANITY! 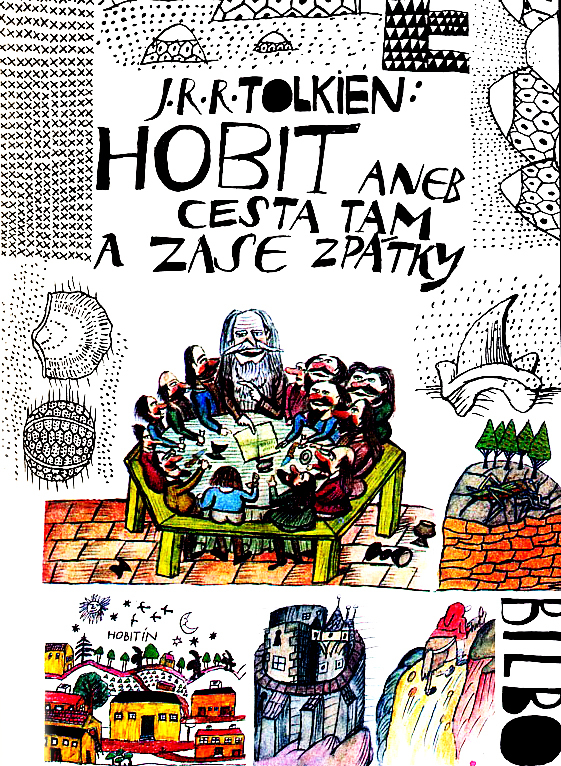 Published in 1991, this Czech edition of JRR Tolkien’s The Hobbit featured cover artwork and illustrations by Jiří Šalamoun. 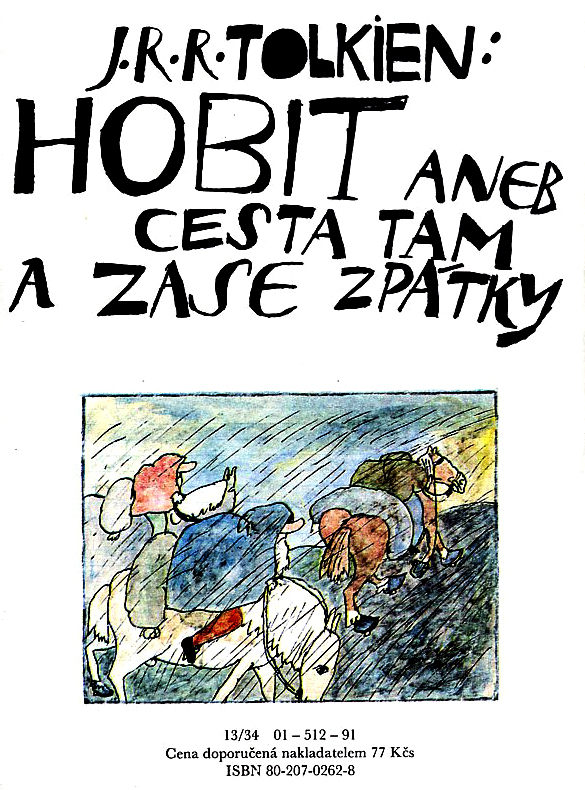 Hobit, Aneb Cesta Tam a Zase Zpãtky (The Hobbit or There and Back Again) was published by Czech publisher Odeon and utilised paintings and drawings by Šalamoun taken from an earlier edition published in the 1970’s. 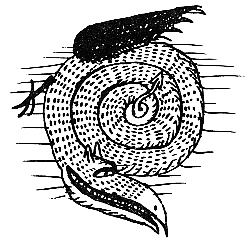 The book featured over two dozen colour paintings (with many running over two pages) and a large selection of smaller pen-and-ink line drawings. 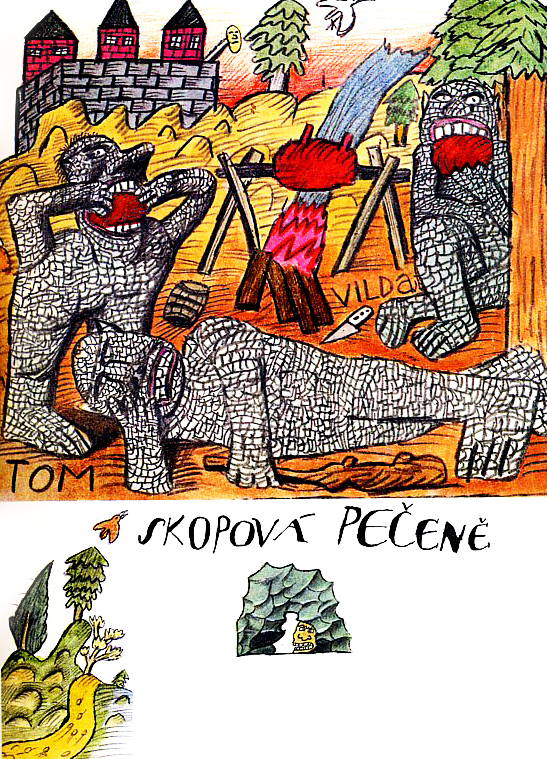 Šalamoun, a renowned illustrator and lecturer in his native Czechoslovakia, did a wonderful job interpreting Tolkien’s novel. 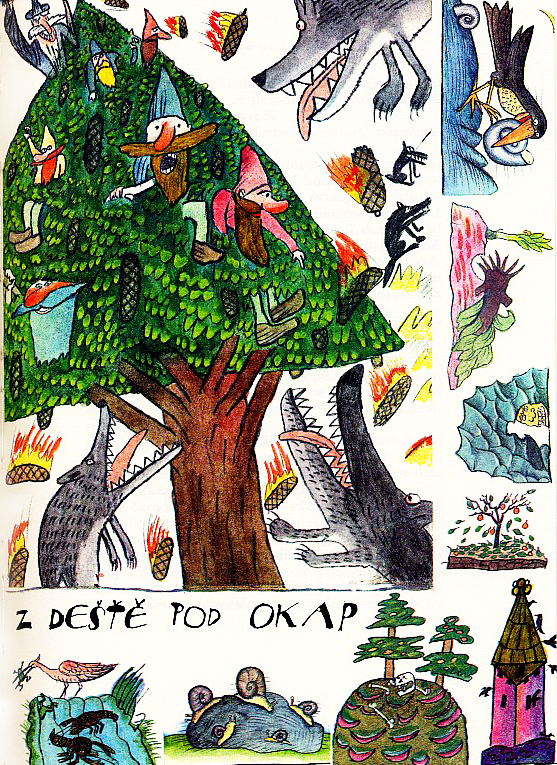 His work has a deceptively naive quality that would have appealed to children, yet is detailed and sophisticated enough to hold the interest of adults. The scenes of the company stranded in a tree surrounded by wargs, or the one of the three trolls are suitably hair-raising and exciting. And I also enjoy the humour he injects into his work – the scene of the dwarves bathing in the river after escaping the elves is charming. This is the third foreign edition of The Hobbit I’ve looked at (click here for a Dutch edition from 1967, or here for a Portuguese version from 1962) and I’m struck by how the illustrations from all three volumes are squarely aimed at younger readers. Most UK editions feature artwork aimed at adults (and very good it is too) but it’s refreshing to see that some publishers are aware that The Hobbit is a briskly told children’s book and not the heavy literary tome that many modern readers seem to think it is. 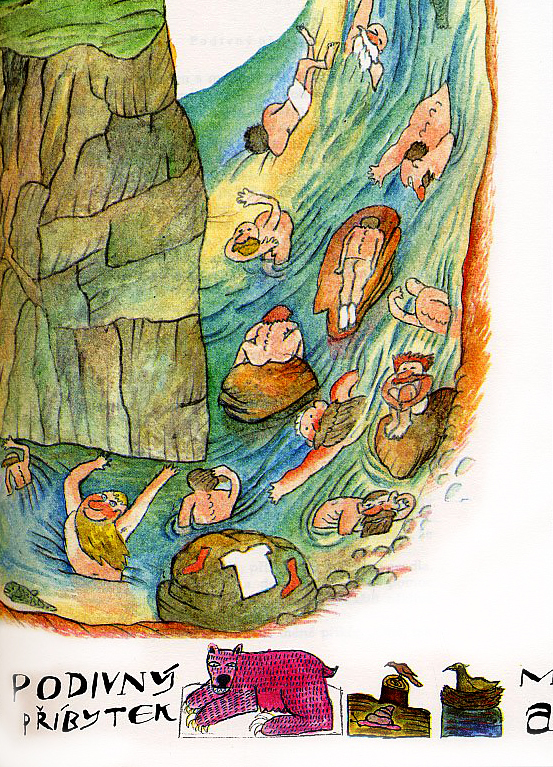 I’m going to take a closer look at a few more foreign editions of The Hobbit over the next few weeks, but in the meantime here are some more examples of Jiří Šalamoun’s wonderful illustrations from the 1991 edition.